If you are a professional webmaster, it is important to check the keyword rank of your site in every potential country. This tutorial explains two different methods to track the keyword rank of a website in multiple countries for free. 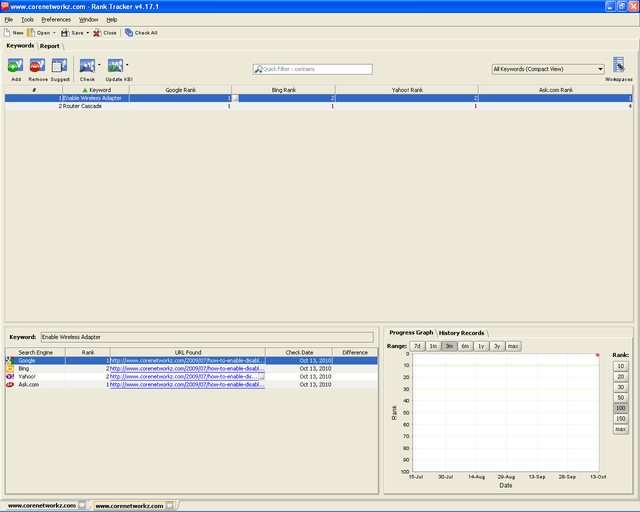 The first section of this guide explains a free tool called Rank Tracker. 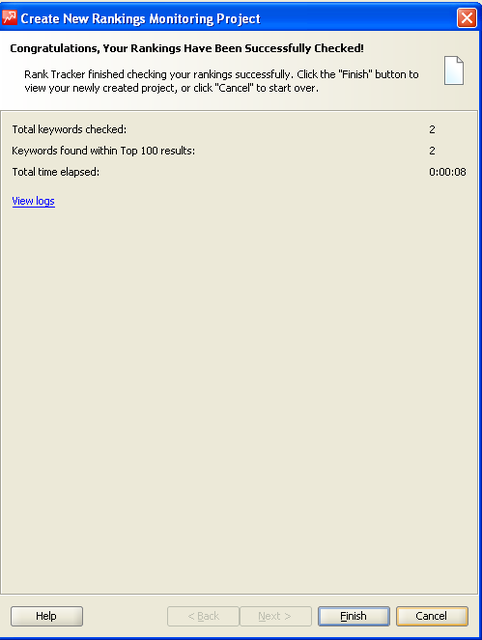 This tool is released by Link Assistant and helps to track the SERP in Google, Yahoo and Bing. The second part of this guide explains the use of Google Toolbar. Link Assistant Rank Tracker is accurate in finding your website's keyword rank in Bing, Yahoo, and Google. This section explains the operation of this tool. 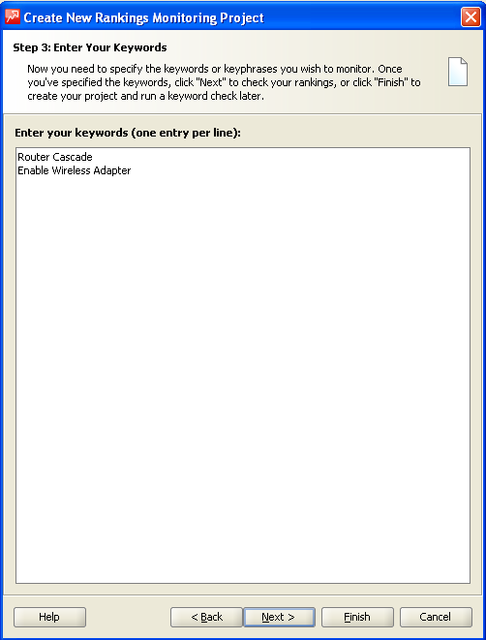 Open Rank Tracker to check your domain's keyword position. You can see a list of countries here. 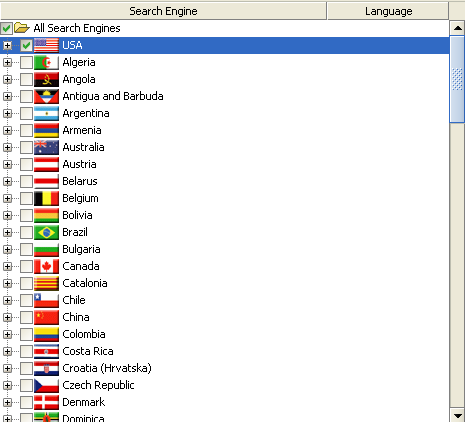 Pick the required country to check the Keyword rank position. Here I found the keyword position of my blog in US Search Engines. So I select the USA as my country and Select Google, Yahoo, and Bing. Here I can enter multiple keywords in US Search. There are many tools which help to get ideas about the right keywords for a website. Click on next to find the Search Rank position of my blog for these two keywords. Click on Finish to see the detailed report. In this report, we can the keyword search position of my blog in Google, Yahoo, and Bing. To download link assistant rank tracker, click on the link below. Update: This tutorial is considered expired because it uses Firefox addon which is no longer supported. There is an easy method to check the keyword ranking of your website in different countries. Google toolbar has an option to select the default Google search engine for any country. For a search engine marketer, it is very important to know the Search Engine Result Position(SERP) of his website in major countries like USA, UK, India, Australia, etc. There are so many tools available to check it but Google Toolbar is easy and free. Make sure Google toolbar is installed in Firefox browser. If not, you can download it from the link below. It is a Mozilla Firefox addon and you must visit this link with Firefox browser. Click on the install button to get it installed on Firefox. After successfully installed, you can select the default country on this Toolbar. If you have selected the UK as your country, you will be directed to Google UK instead of your country. Now let us check how to change the current country using this tool. After installing and restarting the Firefox window, follow the instructions provided below. Now the Firefox add-ons window will be opened. 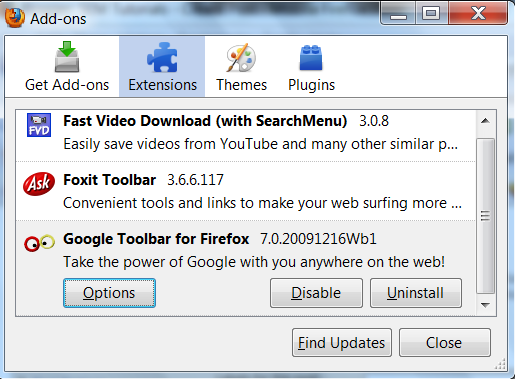 Here you can find all installed Firefox add-ons including Google Toolbar. On Toolbar follow the steps below. Now options window will appear. 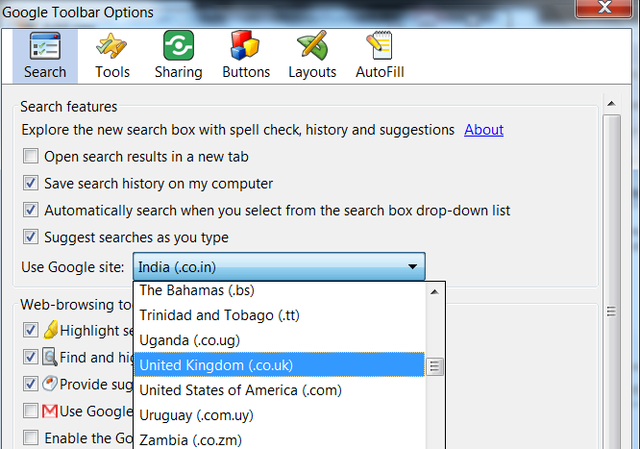 To use the option to set search for any location, you should select the country from 'Use Google site' drop-down menu. If you want to set your default Google search result for US, select United States of America (.com) and for Britain it is United Kingdom (.co.uk). For Indian search result you should select India (.co.in) and for Australia, it is Australia (.com.au) respectively. This toolbar has the option to pick numerous countries. This toolbar is really helpful for an Internet marketer especially if he is targeting the audience of another country. Since different country searches have different SERP system, none can predict the correct keyword rank at audience location by searching for the keyword position at his location. This tool helps him get nearly accurate search result rank of a keyword in his audience country by setting his home country as the audience country. For example, if an Internet marketer in India or China wants to track the rank of his website in USA or UK, he can use this tool.